Experts discourage screen time for kids under two. From phones and tablets to laptops and televisions, the popularity of smart devices and streaming services has raised an important question for parents: How much screen time should I allow my child? As tempting as it may be to calm a distressed baby or distract a demanding toddler with a video or an app, experts warn there is a limit as to how much electronic media they should be exposed to. However, it’s also accepted that some screen time may be beneficial to the development of children older than two years of age. So, what’s the right balance? It’s helpful to consider the pros and cons of letting your little one watch a video or play with an app. Like adults, children are fascinated by technology and can easily be consumed by the seemingly endless range of videos, programs, games and apps. Even the process of simply pressing buttons and lighting up the screen can develop into a habit for a curious infant. But developing a reliance on videos or apps to soothe your child is unhealthy. 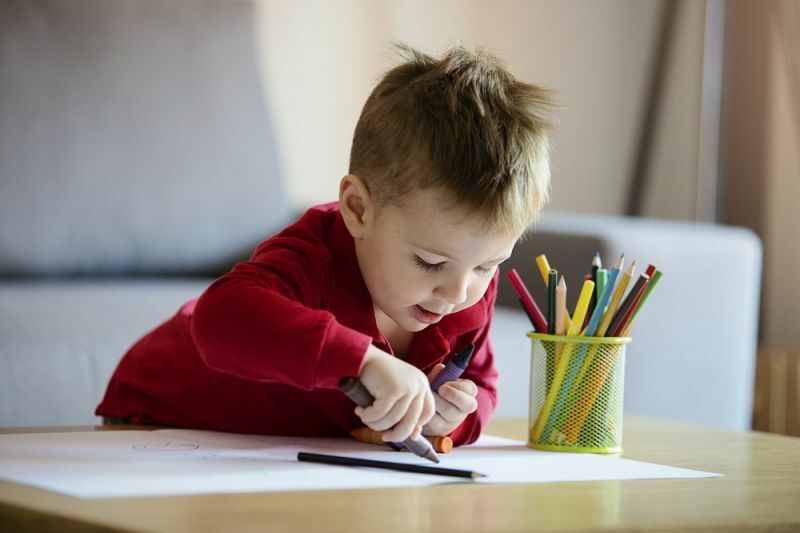 Fiddling with a device may cure boredom in the short term however it is also a missed opportunity for your toddler to develop constructive and healthy ways of entertaining themselves. Exposure to inappropriate media content like violent video clips or animation and advertisements that children may believe are factual can also be harmful. Parents need to be mindful of passive screen access – a child’s playtime or mealtime (both of which are healthy activities) can easily be disrupted by whatever is showing on a nearby television or computer screen. Restricted, supervised and selective screen time can assist in the development of children aged over two-years-old. stimulate their interest in specific activities. Likewise, many age-appropriate television programs and videos are educational and encourage youngsters to sing or dance along to songs or nursery rhymes, helping develop language, literacy and motor skills. There are also many shows and movies that reinforce positive messages about relationships, families and life, and inspire ideas for the child’s playtime. An important aspect of a child’s screen time is parental participation; if mum,dad, grandparents or other carers are watching or playing also, the child will enjoy the experience and learn more. If your child is going to be sitting still, it’s best they are engaged in activities such as reading, singing, puzzles and storytelling. 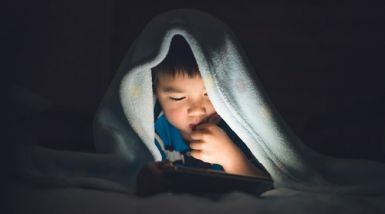 Children’s Health Queensland and the Commonwealth Department of Health recommend no screen time at all for children younger than two years old. Child development authorities suggest limiting a daily screen time for older children. Children aged between two and five should be exposed to a maximum of one hour of screen time – ideally less – over a 24-hour period. Sedentary screen time should be no more than 1 hour in total throughout the 24-hour period -less is better. The American Academy of Pediatrics (AAP) also suggests parents develop a Family Media Use Plan for all members of the family, noting that children in the United States spend an average of seven hours a day on entertainment media, including TVs, phones and computers. Whether experts condemn or advocate screen time, they do agree that a child’s development will benefit from active play and interaction with others, through which they will learn valuable movement and communication skills. We need to remind ourselves that constant use of phones and tablets as the sole source of recreation can be unhealthy for people of all ages, not just the youngest members of society. Children learn from their parents so be prepared to lead by example when teaching them healthy screen time habits – for example, switching off devices at mealtime, putting your phone elsewhere when you are playing with your little one or turning off the television when you are finished watching a program. If children develop healthy screen time habits when they are young, they are more likely to make productive use of their free time when they are older. Want more information about managing screen time for young children? Visit our Growing Good Habits website or read the Raising Children’s Network’s article Healthy screen time and quality media choices: 0-2 years.